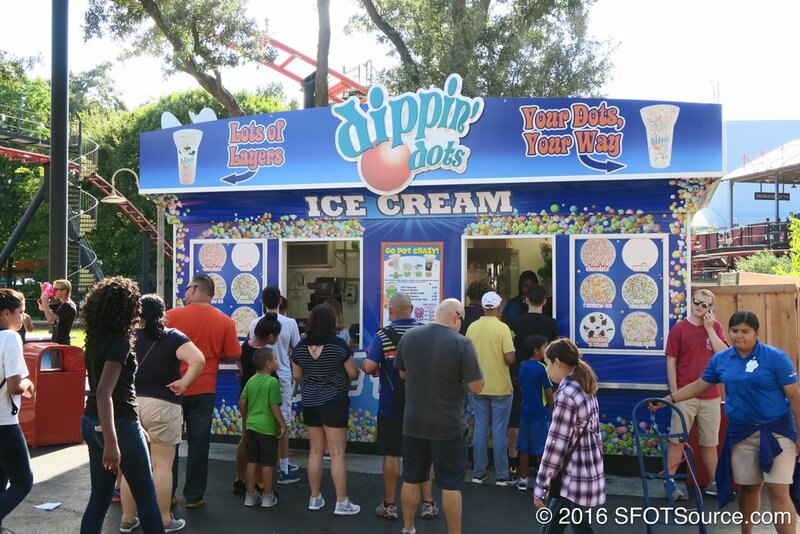 Boomtown Dippin' Dots is located near Boomtown Depot. This is a small outdoor stand that does not have any seating options. Dry Hole Charlie's, however, does have a covered seating area and is located nearby.